The prototype appears to be ready for production. 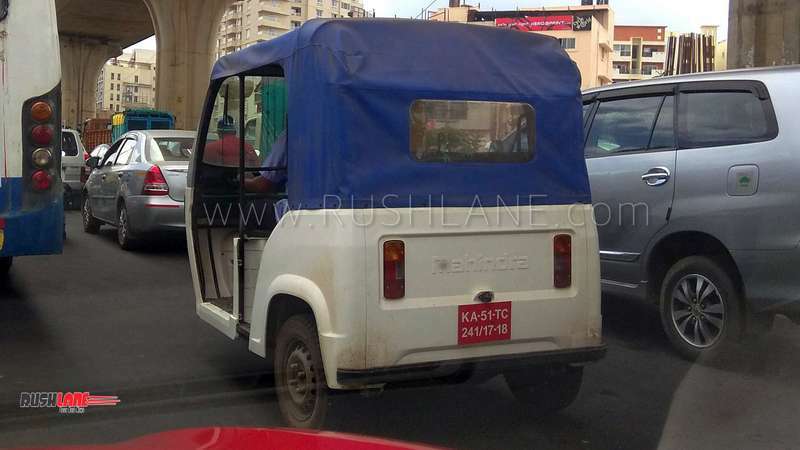 Hat tip to automotive enthusiast Mr Jayadev for sharing these exclusive photos of Mahindra rickshaw. Mahindra is working on augmenting its electric three wheeler portfolio to get ready for the government’s electrification drive. 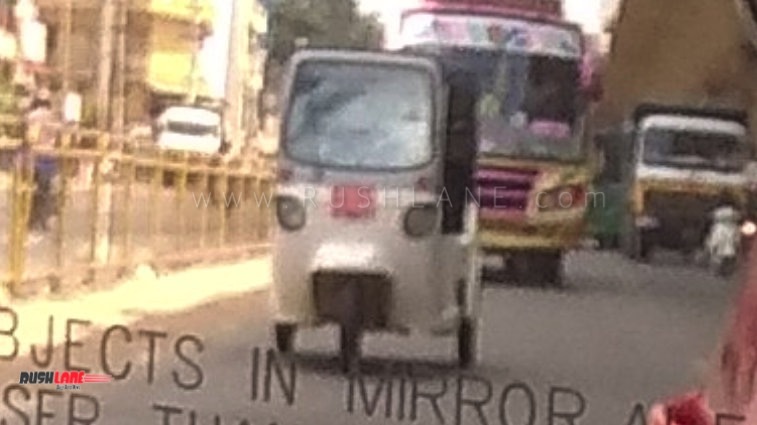 The company already has the e-Alfa Mini in the market and the second electric auto rickshaw has been spotted testing. Compared to the e-Alfa Mini, the new model has a different construction. The rear bodywork suggests that the test mule accommodates the battery pack just above the rear axle as against the existing e-Afla Mini which houses it underneath the middle row of seats, just behind the driver seat. Moreover, the prototype adopts the standard and most common auto rickshaw configuration with three seats while the existing one can seat four people, thanks to two rows of seats (facing each other) in the passenger compartment. The new one also seems to be equipped with fatter rear tyres compared to the e-Alfa Mini. The technical specifications of the new electric auto rickshaw are scarce as of now but we expect it to be more powerful than the existing model. Mahindra’s Bengaluru-based electric division is taking care of the development work. The current e-Alfa Mini is powered by a 1 kW/3.2 Nm motor which derives its electricity from a 120 Ah battery pack. The vehicle has a claimed top-speed of 25 kmph at maximum rated payload. The new e-Alfa will be equipped with a larger motor whose output will be comparable to that of the IC-engined Alfa variant (8 hp). The rickshaw is most likely to employ direct drive transmission. Going by the prototype’s production-ready state, we expect the new Mahindra electric auto rickshaw to be ready for the market by next year. The product will be pitted against the Bajaj RE electric auto rickshaw which is also in the advanced stages of development. A low operating economy compared to the petrol or CNG rickshaws makes the e-Rickshaw attractive to the owners while the quiet and vibe-free running makes it appealing to the passengers.